Over the years since I began the practice of morning pages whenever I have spoken of them people have been curious to ask me to explain what they are. In their simplest definition morning pages are a form of free-writing for the purpose of detoxing the mind of all the negative small stuff that keeps us stuck. Although intended as being completely private and not meant to be shared, I am showing some of my older pages here as an example of what they can be individually. Though they remain a record of my very personal experience, I no longer hold attachment to their contents. They have done their work. 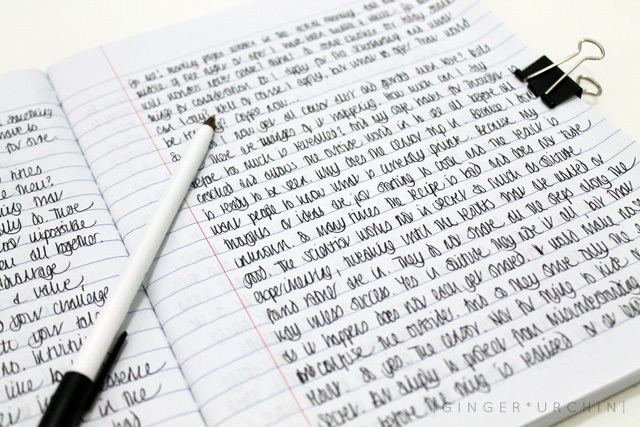 First introduced to me through Julia Cameron’s seminal book, The Artist’s Way, morning pages are defined as being, “three pages of longhand writing, strictly stream-of-consciousness”. There is no right or wrong way to do morning pages: they are not journaling or even 'writing' in the common sense of the word, but simply the practice of showing up to the page and writing whatever comes to mind. No topic or meandering is off-limits, no correct punctuation or grammar required, and absolutely no editing (censorship) allowed. Designed as a tool for what is termed ‘creative recovery’, morning pages are the space for that inner critic to let loose unfettered until it has nothing left to say and starts repeating itself. All you have to do as facilitator is to show up and keep your hand moving across the page. not judge the work... I will take care of the quantity. Great Creator take care of the quality." Committed to the process of daily morning pages, come what may, reveals that your mood to create does not matter; Creativity does not need special circumstances to operate, but that that is Fear speaking. Working with morning pages moves you past that. Over the years of keeping my daily practice, though I still approach them as a place to free-rein brain-dump, how I use morning pages and what I get out of them has evolved. On those early mornings when supposedly nothing is forthcoming, I kickstart the process by beginning with a run through of what’s on my agenda that day. This frequently is the trigger to other thoughts and pathways such as a rambling mental list of the puzzle pieces involved. Morning pages have been and are my place to rant freely about whatever it is that is or has bugged me. An anxious mind is one that likes to travel into the past to rerun things over and over and in writing these things down I can begin to spot the patterns where my triggers are and what I value. This is useful research and process as each time the same stories come up I can pull in new tools to deal with them. Morning pages have also become a form of writing meditation to me. Julia actually speaks of this when introducing the tool, but it has been rather something I have discovered in the practice than having any conscious intent. Morning pages are a meditative practice as the point of focus to return to on noticing you have gone down the rabbit hole and become lost in the Drift*: the practice of noticing and bringing myself back to the page. In both these ways I have discovered unintentionally but quite fascinatingly a tool for managing my anxiety at those moments when I realise I am on the decent into a spiral of intense anxiety overwhelm: poorly labelled as an 'anxiety attack'. Caught at the right deciding moment, I can refocus my experience of the wave onto the page when verbalising it becomes trapped and muted. That adrenaline gets an outlet and I can capture frenzied monkey-mind and slowly refocus back to logic mind of being present to the Right Now. Last but not least, morning pages have allowed me space to practice the art of writing. To find and evolve my writing voice. :: Keep things simple – think cheap and cheerful. You will go through a lot of these (I average about 4/yr) and really they are only for yourself, so make it as cost effective and non-threatening as you can (stay away from the gorgeous but scary, $100 variety). I recommend the trusty dollar store school supply composition book and black biro (I tried a Moleskine once and we did not get on). :: The perfect writing tool? 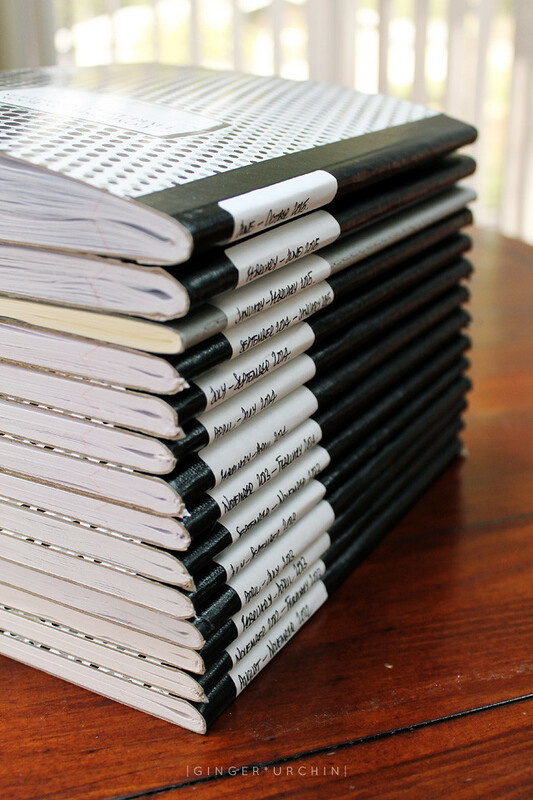 :: Start small – I literally started with the smallest pocket notebook I could find (again, inexpensive) and over the duration of the initial 12 week course slowly grew into larger surfaces. The idea of writing three. whole. pages. felt ludicrous at first. This is normal. So to ease myself into the process I went small. Once convinced by the evidence that it was possible and I became hungry for more space, my page size naturally grew. :: Allow flexibility – so, due to family commitments I'll admit to writing only 2 pages most weekday mornings during school, but on weekends, holidays and wakeful nights I write three. Due to family ‘needs’ many weekend mornings recently have also gone without writing, I kind of let things slip. Now that I am aware of that I shall work towards getting back into that rhythm again. Really once I had built up a routine habit of writing each day, I really notice the days when I have not and how successful those are or are not. I operate better when I write. But honestly, just with any daily habit you want to succeed at, if you miss a day or two or three, get back and carry on. 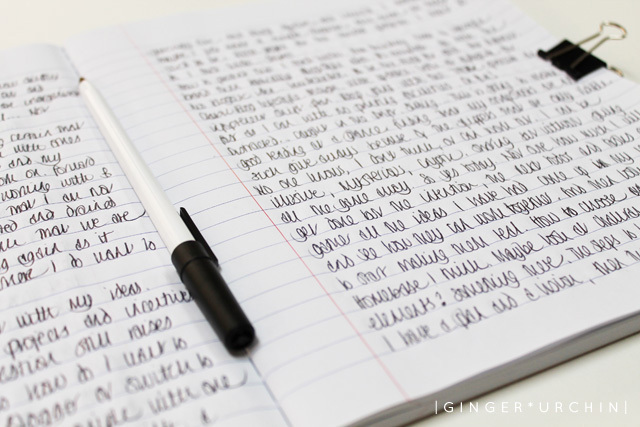 :: Just write – put pen to paper and begin downloading the stream of thought from mind to paper. Even if that is abstract noises, exclamations or, as crazy as it sounds, the repeated statement: “I do not know what to write”, put it on the page. This is the mental detritus that needs to be cleared before more cohesive thought can flow. Rather like tuning an instrument, only in this case the instrument in question is your cognitive mind. 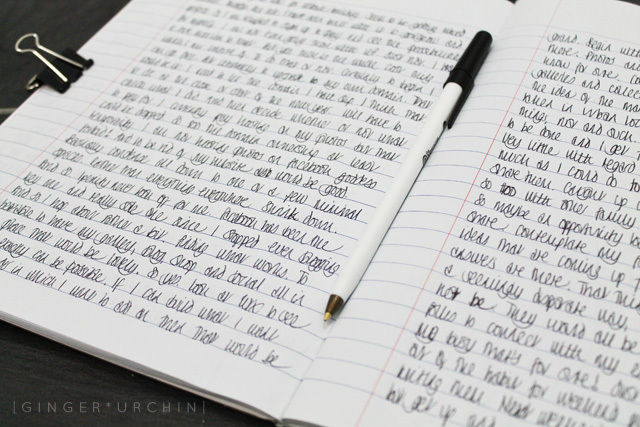 Do you write morning pages or have another daily journaling practice? I would love to hear how the process works for you. Have a friend (or two) that would enjoy GINGER*URCHIN? I would love it if you would share this post with your favourite community using an option below. Your support is truly appreciated, thank you!